There are almost 300,000 games available on the App Store, from free-to-play hits like Candy Crush Saga and Fortnite to premium (paid) games like Minecraft and NBA 2K19. While it’s obviously easier to try free games, since they’re free to download (they often make money through advertising or optional in-app purchases), there are lots of great premium games players may miss out on, simply because they have to pay to play them. 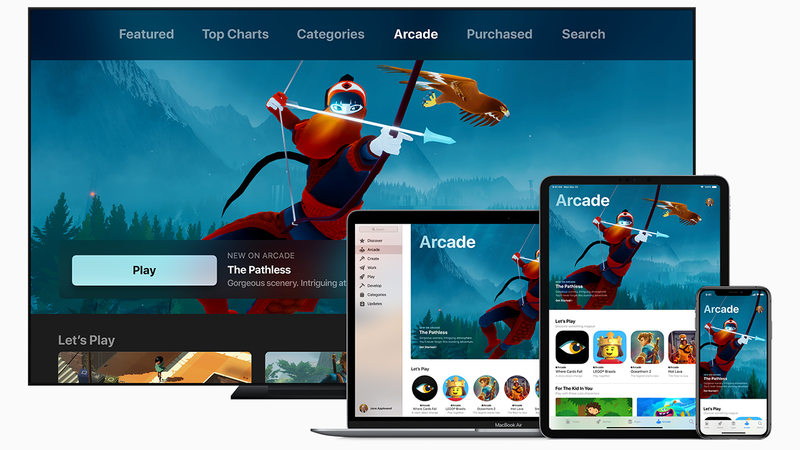 App Store creator, Apple, wants to help users discover great, premium-quality games with its new game subscription service called the Apple Arcade. The games in the Apple Arcade won’t contain ads, ad tracking, or in-app purchases. Once someone subscribes to the Apple Arcade service, they’ll have unlimited access to the full catalog of games, which they can download and play as much as they want. All of the games will be playable offline, and many will support game controllers that your family may already own. If players have multiple Apple devices (for instance, an iPad and a Mac), they’ll be able to access their progress in each game when they switch from one device to another. Parents will also be able to control their children’s access to these games using Apple’s Screen Time features. So far, we only know a few of the games that will be available in Apple Arcade. Highlights include Lego Brawls, Sonic Racing, and Oceanhorn 2: Knights of the Lost Realm. It’s worth repeating that these games won’t be available on other mobile platforms (like Android or Kindle devices), or in other subscription services. The Apple Arcade service is expected to launch in fall 2019. New games will be added to the service after its launches. No pricing information has been revealed just yet, but keep checking back with SuperParent, as we’ll let you know when we have more details. For a more in-depth look at the business side of Apple Arcade, check out GameDaily.biz.